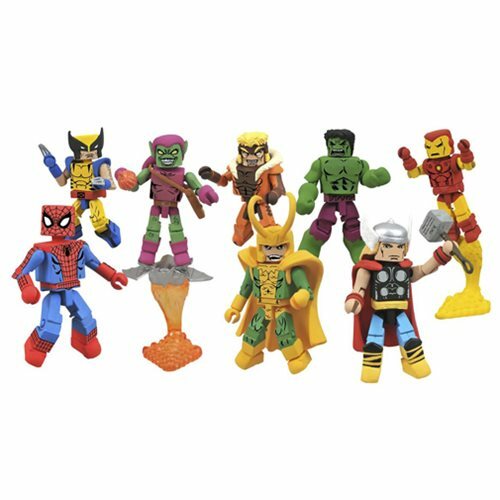 Each Minimates mini-figure stands 2-inches tall and feature 14 points of articulation and fully interchangeable parts. Most figures feature an alternate hair piece, for an unmasked look, and the Hulk fully transforms into Bruce Banner! Each two-pack comes packaged in a full-color window box. Ages 8 and up.